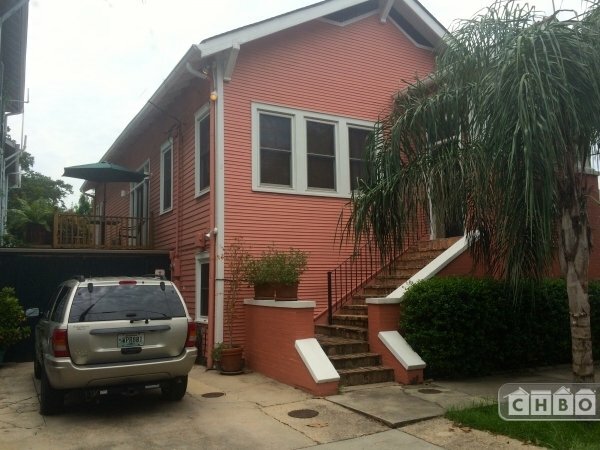 This house is Soo New Orleans it has a raised basement. Its Sooo New Orleans it's on the historic St Charles streetcar line. Its Soooo New Orleans you can walk to Commanders' Palace! Feel at home in New Orleans! 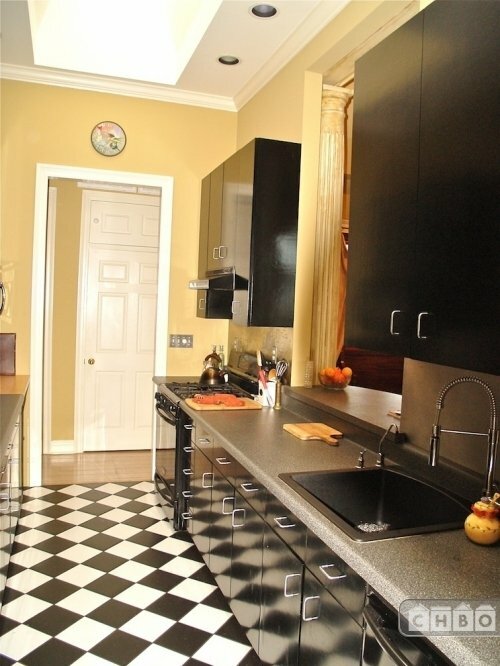 Rent something other than a sterile condo - rent our home! We're out sailing the Caribbean for a few years (Senior year abroad in a way ?????? ). 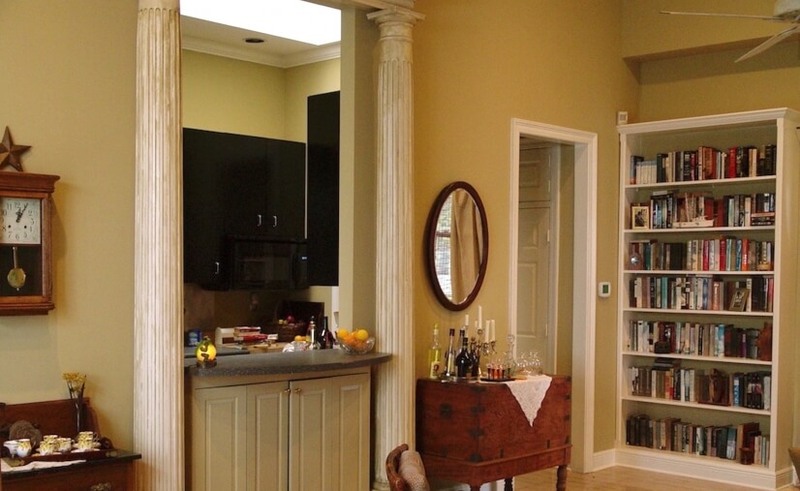 What you'll find - Tastefully furnished, spacious rooms that have high ceilings and are light and airy. 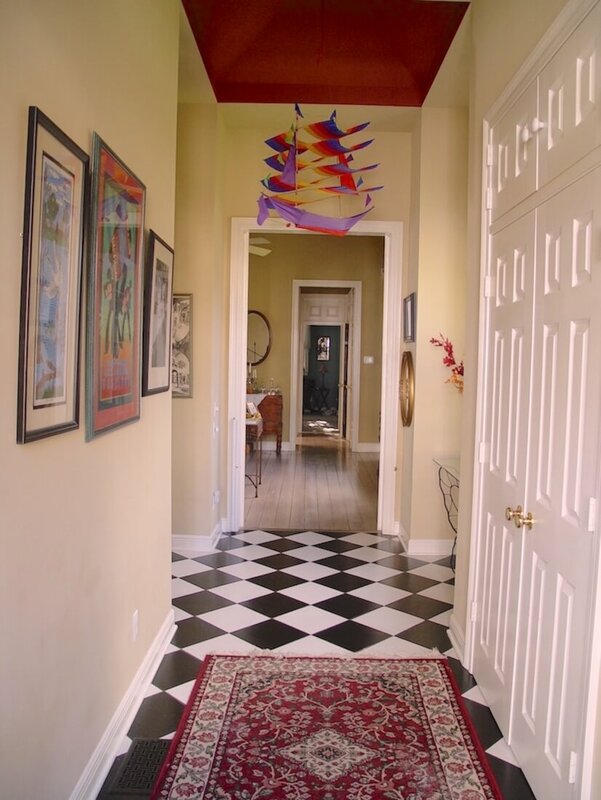 Stroll the avenue or walk just 4 blocks to hip, quirky Magazine St for its shops, restaurants and bars. 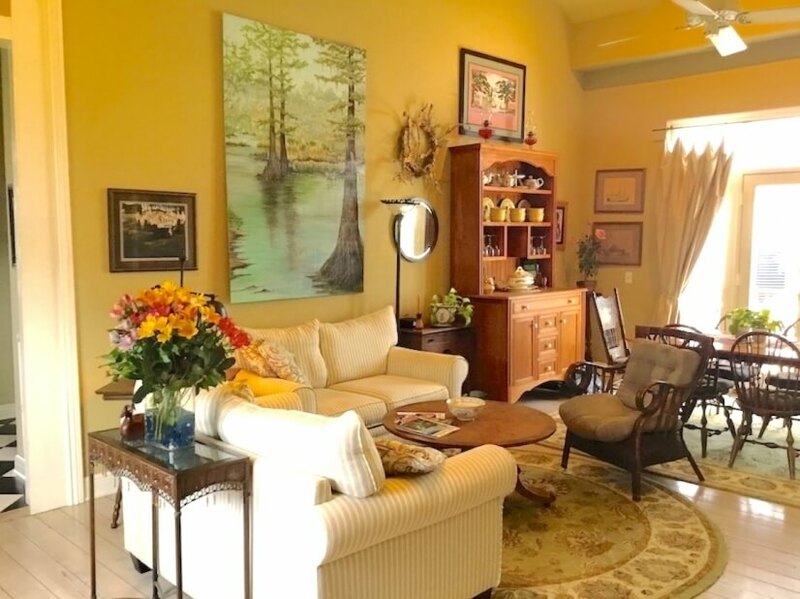 You'll love the house, love the location! 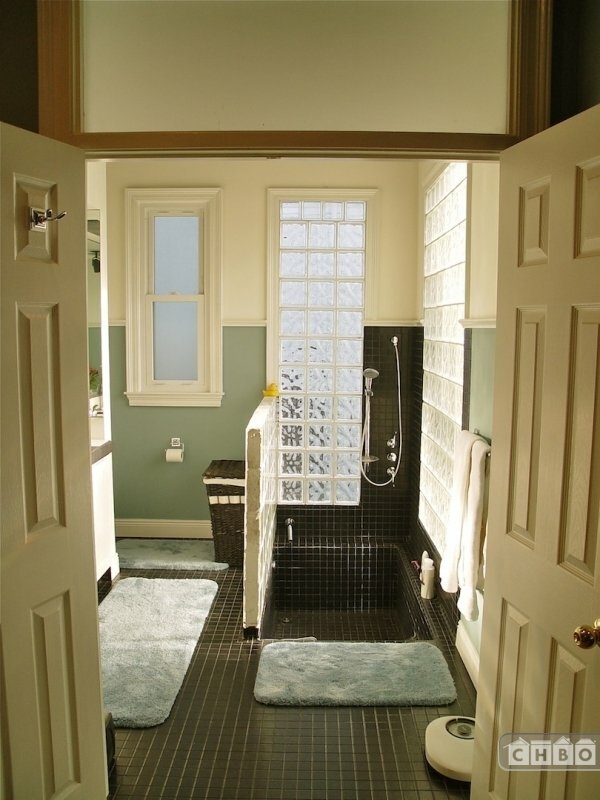 ~ Recently renovated, Freshly painted! 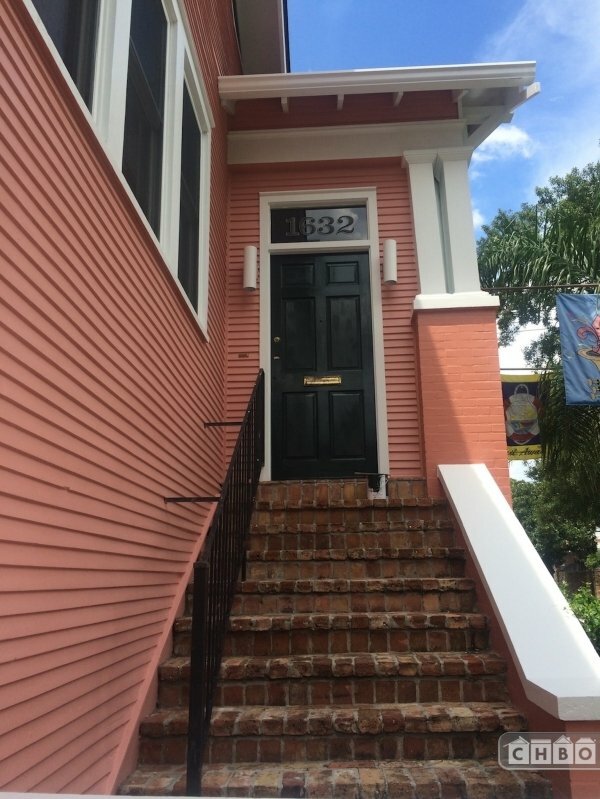 Outside this is a typical 1920 raised basement New Orleans house, but inside, Oh La La! 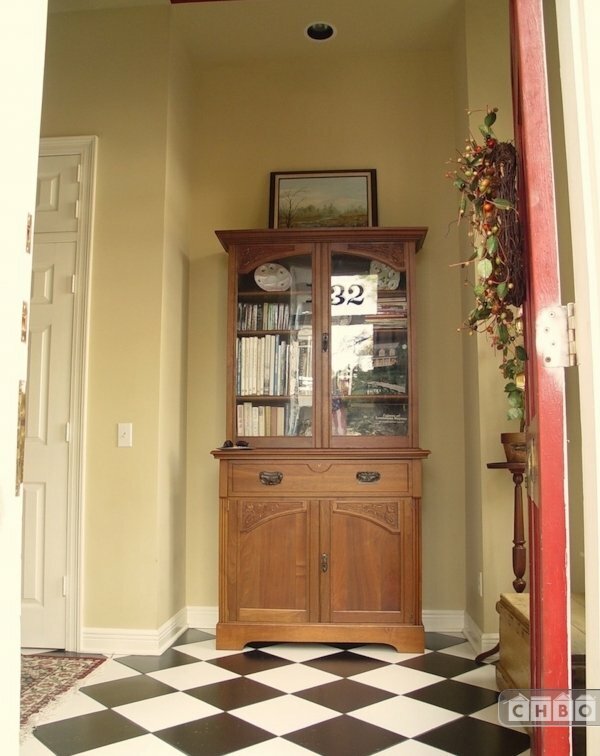 Enchanting entrance with dramatic black & white ceramic tiles. 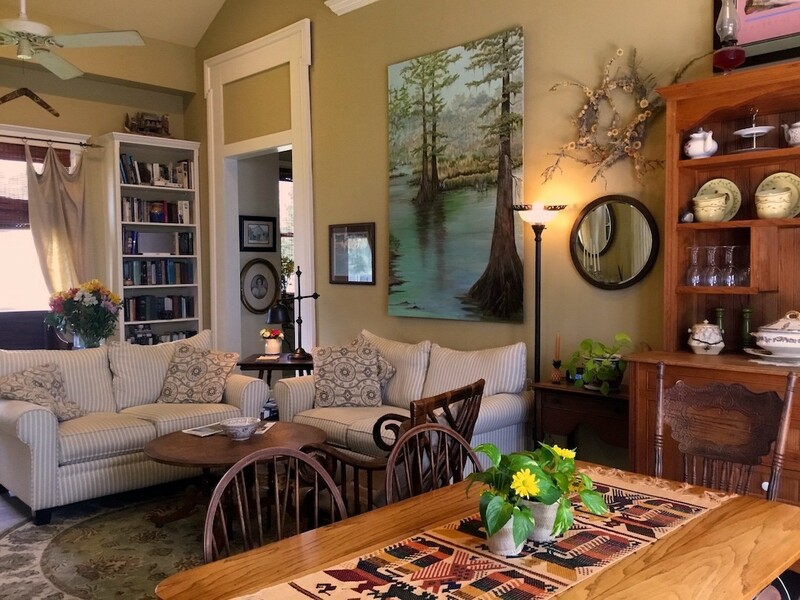 Spacious living area with wide pickled pine flooring opens to deck and garden patio. 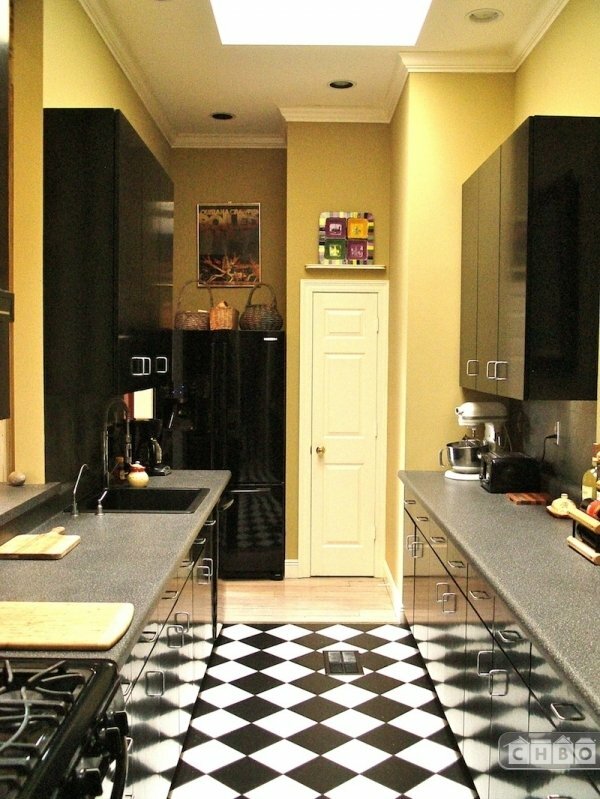 Great galley kitchen with a repeat of the black & white ceramic tile flooring theme. 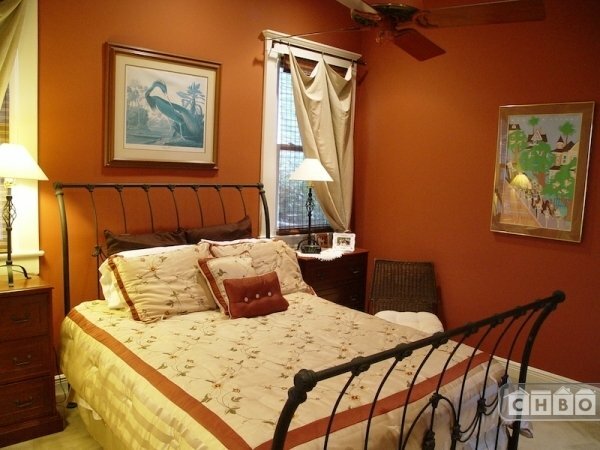 On either side of the central living area are two large bedrooms each with its own bath. 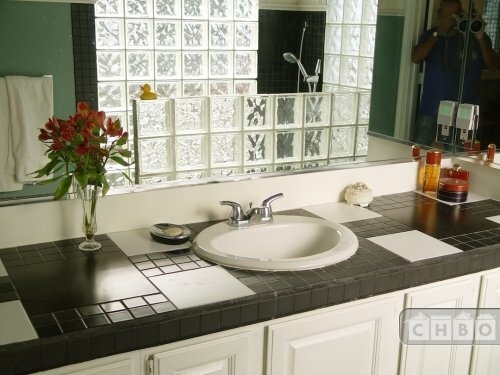 The master bath has a black tile sunken tub and glass block windows. 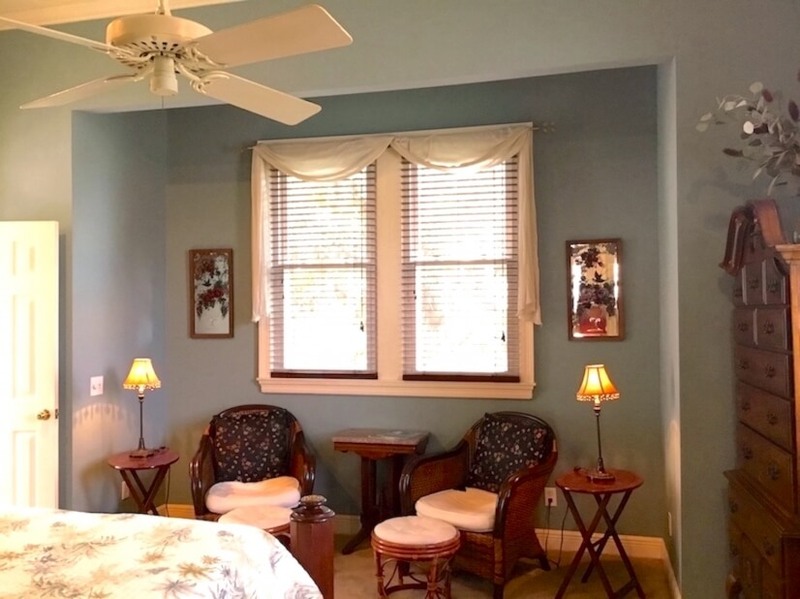 Everything's Included WiFi, Cable with Netflix & Amazon Prime movies, Utilities even off street parking. 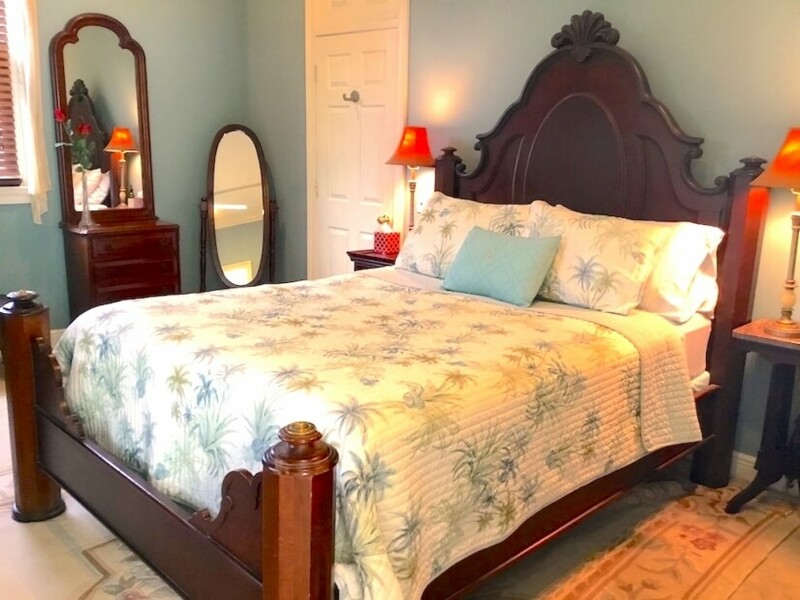 Fully furnished with Queen beds in both bedrooms. Washer/Dryer in basement. 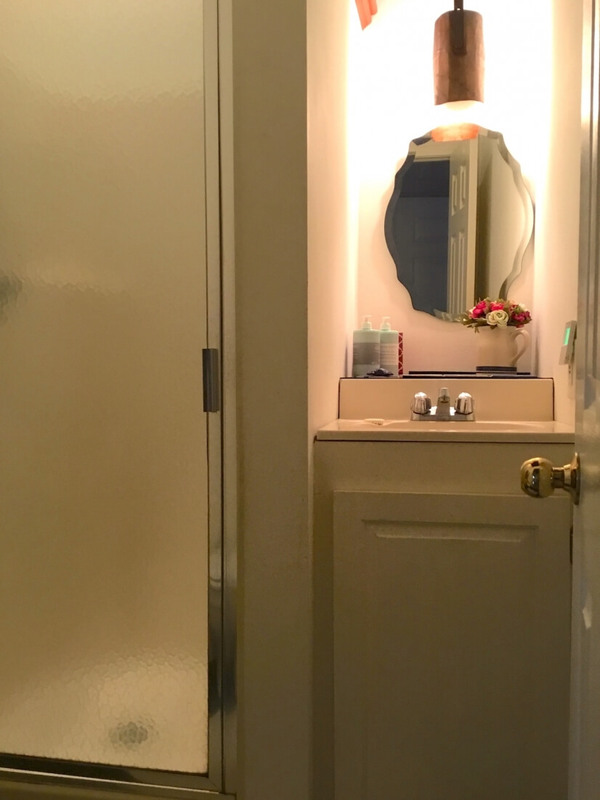 Just bring your toothbrush and move right in! 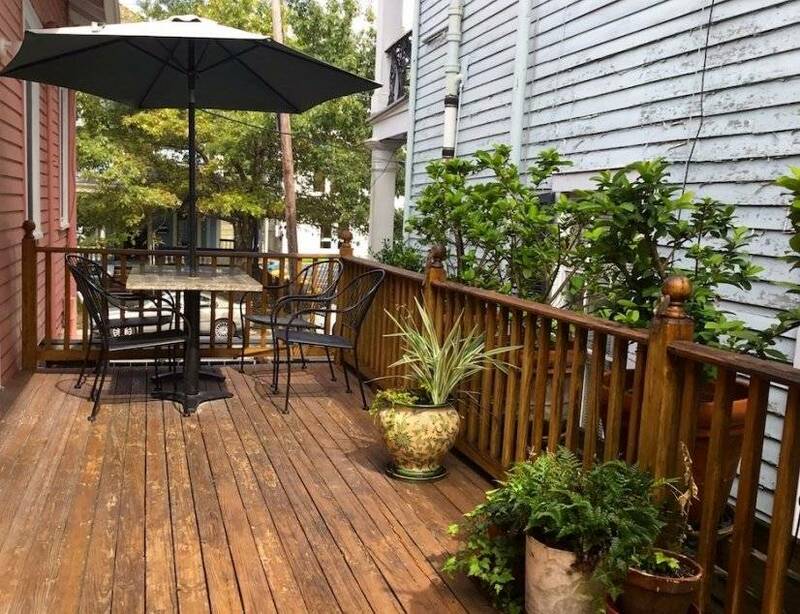 You would be renting the main 1600 sq ft flat which is on the 2nd floor and has a deck off of the living room. 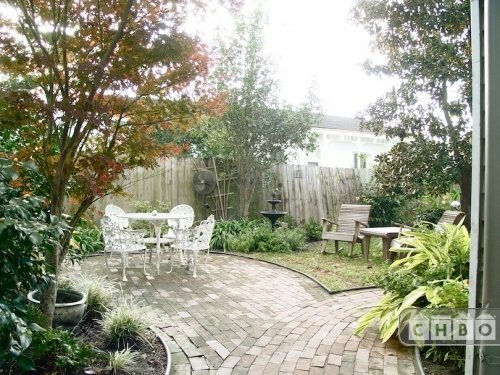 Easy access from the deck to the patio garden and the laundry room in the basement.